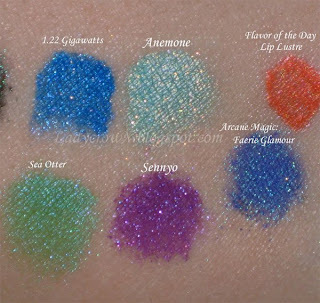 Initial first glance/swatching review; tutorial and thoughts to follow when I'm more awake. 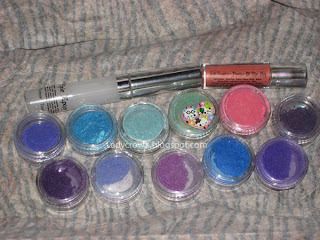 I was very curious about the Pixie Epoxy I had heard so much about from other bloggers especially the fact that I could use my shadows on top and have them look as vibrant as if I had wet them. 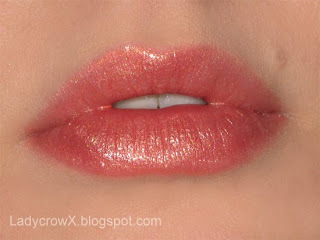 I was also curious about the lip lustres because I don't own a ton of lip products and these looked pretty. The scents sounded fantastic also! 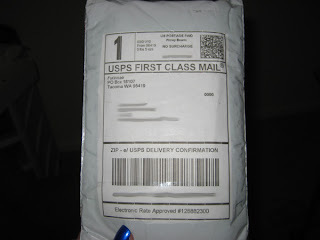 Shipping Packaging: the packaging was fantastic on this, everything tightly packaged and neatly might I add. Inside the envelope was an order form and the rest wrapped in cardboard...but there was more. 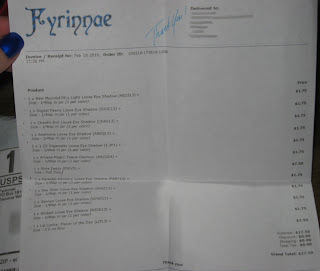 The order form had a (Thank you) written at the top. 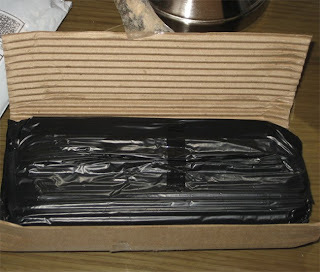 Inside the cardboard was a black plastic bag, tightly wrapped to keep things safe. 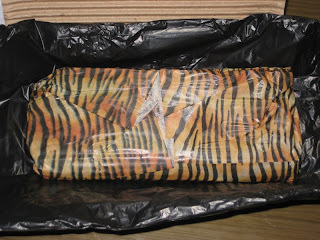 Inside the plastic bag was this cute tiger print tissue paper; again very tightly packaged to keep my pretties safe. On top of my Sea Otter sample I found a cute JP sticker; guessing it was Fyrinnae_2nd who packaged this one. At least from what he said before about the stickers. :) I also find it cute because I have 3 kitties who harrase me while I'm trying to write my blogs/do tutorials hehe. I ordered sample sizes of the shadows and the samples were very generous enough for a lot of uses! If you look here full size vs. sample though you can see the difference in full size to sample size. I know I will be ordering full sizes because that is a TON of product. 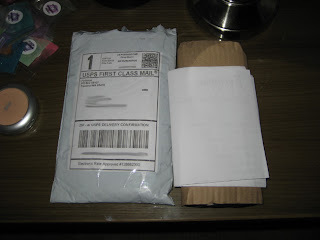 Shipping Time: Very quick compared to what was listed! Very impressed since they had been swamped with orders during that time. Packaging: Care taken in every aspect of this; everything was tightly wrapped and no mess to be found on anything. 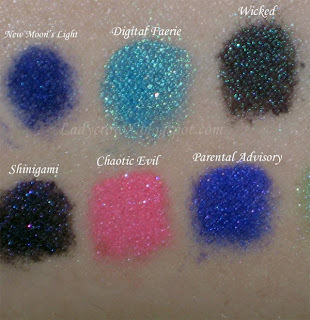 I plan to buy more items to try out including their primers/more lustres/shadows/blushes. Uniqueness: the names of the shadows themselves makes my geekmeter go from red, yellow, to a solid green (yes I reference guitar hero). Names like Shinigami....(I love Death Note and L), Chaotic Evil (I play D&D although my character is currently trapped in a druid grove by a curse) Anemone (My fantasy dress is being made in a fabric named this). All in all I love the names and the colors are just as unique. Extras: the sticker was a nice surprise since I'm a dork like that (I love Japanese stuff) plus I horde my extras like they were rations and I was stuck in a never ending dungeon. The Shinigami free sample was an awesome treat and beautiful color.